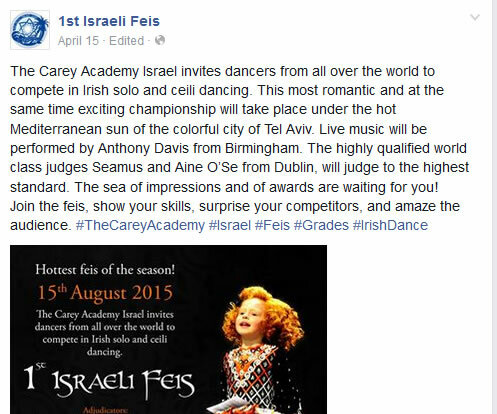 We are posting this link to a statement from the Ireland-Palestine Solidarity Campaign in which they refute allegations that threats and danger to dance students brought about the cancellation of the first Israeli Irish Dance Feis, planned for Tel Aviv in August. The piece explains the goals and tactics of this particular cultural boycott campaign and in the process explores the principles of applying Boycott, Divestment and Sanctions in the arts. It includes the important clarification that: “from the outset that the Ireland-Palestine Solidarity Campaign – in accordance with the Palestinian guidelines for the Cultural Boycott of Israel – never sought the cancellation of the Feis. Instead we sought to encourage Irish people who had planned on attending the competition – including the advertised adjudicators Seamus and Ainé Ó Sé – to boycott the event in solidarity with Palestinians living under Israeli occupation and Apartheid. Separately, we pleaded with An Coimisiun Le Rinci Gaelacha (CLRG; The Irish Dancing Commission), as an organisation which receives money from the Irish taxpayer via Conradh Na Gaeilge, to withdraw its endorsement, promotion and support for the event taking place under its auspices. It continues: “In other words, if Israelis in Israel want to host and partake in an Irish dancing competition – or any other cultural activity – this does not fall within the guidelines for the cultural boycott. An event only becomes subject to a call for a cultural boycott when international artists, cultural figures or institutions are asked to take, or listed as taking, part. 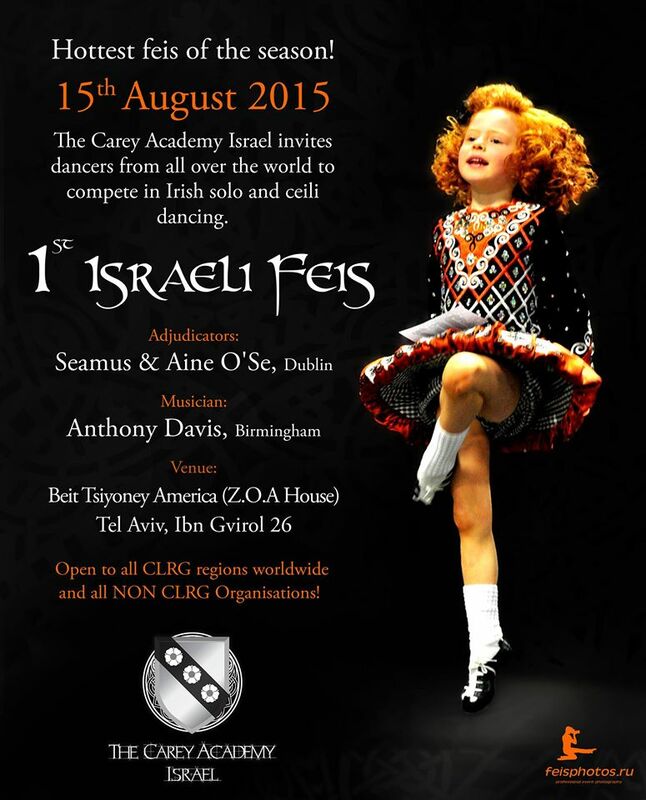 This was very much the case with the Israeli Feis which not only involved international (Irish) adjudicators, a musician from Birmingham in England (who subsequently withdrew from the event), was endorsed and promoted by the CLRG and included an open call to Irish dancers from all over the world to attend. Thus it met the criteria to be focused on by principled human rights activists acting in solidarity with the Palestinian people. “That culture and the fight against oppression are inextricably linked is recognised by the more than 500 Irish creative and performing artists that have already signed up to the Irish Artists’ Pledge to Boycott Israel. These artists join a growing list of international artists like Roger Waters, Lauryn Hill, Ken Loach, Mira Nair, Nigel Kennedy, Cat Power and Elvis Costello who have refused to perform in Israel as an act of solidarity with the occupied and besieged Palestinian people. Famed anti-Apartheid activist Archbishop Desmond Tutu said last year that the conflict’s solution will “come from that nonviolent toolbox we developed in South Africa in the 1980s, to persuade the government of the necessity of altering its policies. The reason these tools – boycott, sanctions and divestment – ultimately proved effective was because they had a critical mass of support”.